If you get diagnosed with Type 2 Diabetes, lifestyle changes are important in order to maintain your health and still lead a happy life. When you get diagnosed with type 2 diabetes lifestyle changes and adjustments are important in order to maintain your sugar levels, and be able to take care of your health in a way that allows you to to still enjoy time with your loved ones and doing the things you like. Granted, diabetes lifestyle modifications are not changes that happen from day to night, and they can become a challenge if you are not sure where or how to start making these changes. After receiving your diagnosis, it is important to have a thorough conversation with your Physician and Specialist in order to ask all the proper questions you may have, share your concerns and design a proper care plan for your particular case. Type 2 diabetes lifestyle changes usually revolve around daily behaviors and attitudes that you either change – if you already practice some of them – or adopt if they are new to you. As part of these changes, it is always recommended to start small. Abrupt changes can be overwhelming, especially if you are dealing with diabetes lifestyle modifications. 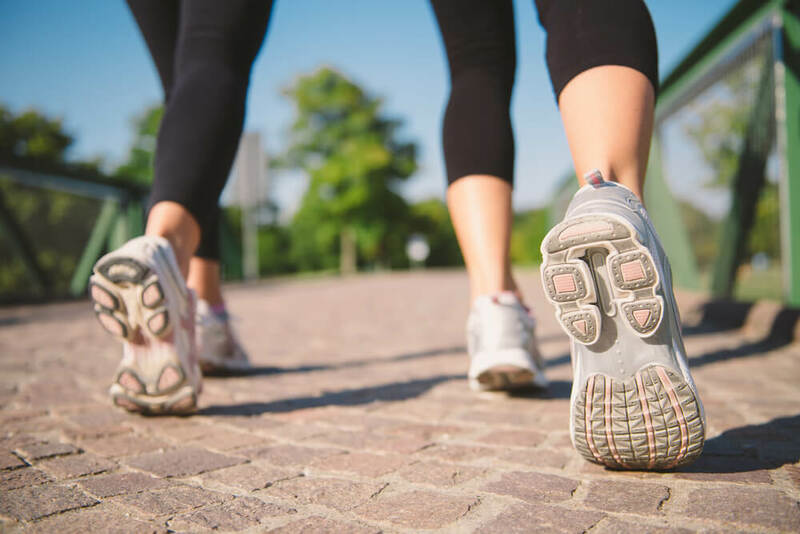 Taking one step at a time, usually guarantees success and allows you to get used to a new routine that focuses on your health and your wellbeing. In fact, if your loved ones has been diagnosed and you suspect you may be on the verge of it because its in your family history, some of these attitudes can be considered lifestyle changes to prevent type 2 diabetes. While prevention is not always on our minds, is it highly important to understand that minimum changes here and there can actually help us avoid this and many other diseases throughout our lives. As part of the type 2 diabetes lifestyle changes that you should consider, we have rounded up a few that – even if you start very small – can make an outstanding difference in how you feel and in how you manage your diagnosis. The way you eat is probably the source of how successful you can be at managing your diabetes diagnosis. Eating wholesome, healthy foods, low in sugar and in sodium, and trying to distribute your carbohydrate intake throughout your day, will ensure that your blood sugar levels remain stable. This may be a new habit, but as part of your new routine you should check your sugars levels first thing in the morning and then a few times throughout your day, so you can know how your food intake and activity level changes your body’s dynamic. Type 2 diabetes lifestyle changes include being more active. Even if you just decide to walk for 30 min. a day for 5 days throughout the week, starting and maintaining an exercise routine will ensure that your metabolism works in your favor – therefore supporting your efforts to maintain your glucose levels. While this may be one of the most challenging diabetes lifestyle modifications to make, adjusting the way you drink, the amount and the type of alcoholic beverage can make an outstanding difference in keeping your sugar levels on track. Anxiety, stress and panic can all raise your sugar levels through the roof. If you lead a somewhat stressful lifestyle, learning and/or practicing activities that help you control it are key. Think about joining a yoga or meditation class, taking a few minutes a day for yourself and your thoughts and practice relaxing breathing techniques. If your case calls for the use of medications, make sure that you know your doses and the times when you have to take them, carry an extra dose with you at all times and/or keep back-ups in your car and in your office. While some of these changes may seem difficult, remember to take it one step at a time. Each new day brings a new opportunity to be better and refocus on your wellbeing above anything else.